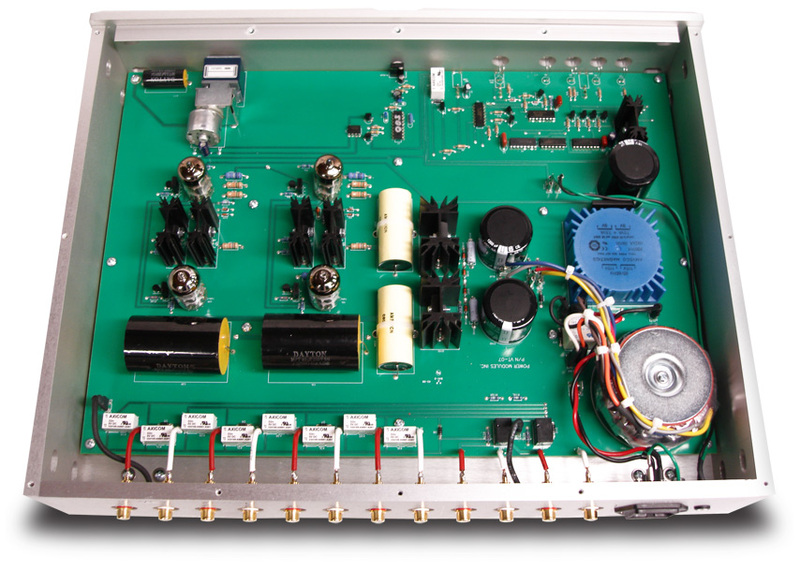 The preamplifier is the nerve center of a hi-fi system. It provides one or more gain stages, input switching, volume control, and any other controls the manufacturer deems important. Back when I got started with hi-fi, manufacturers competed to see how many knobs, switches, and sliders they could cram onto the front panels of preamps, which made for some pretty big front panels. Then, in 1975, along came the Mark Levinson JC-2, which set the industry on its heels with a bare minimum of controls, which Levinson claimed degraded the sound. The JC-2s pancake-flat face looked much different from those of its knob- and button-festooned competitors, and it started a trend that continues to the present: the minimalist preamp. Since then, as many manufacturers have dispensed with the internal phono stages that were universal at the time of the JC-2, preamps have gotten even simpler. The resulting component is called a line stage, and this review is about one of them. David Belles is a highly respected audio designer who has plied his trade for over 30 years. In that time he has produced a steady stream of products, many of which have won excellent reviews, including, in April 2008, a review of the LA-01 preamplifier and MB-01 monoblock amplifiers published in our sister publication Ultra Audio. But Belles never rests, continuing to produce newer and, usually, better designs. One of his latest products is the subject of this review: the Belles Statement VT-01 tubed line preamplifier ($4695 USD). The VT-01s four Mullard DV4003 tubes, a variant of the ubiquitous 12AU7, amplify the audio signal to drive a power amplifier, such as Belles own matching SA-30 or SA-100 (all three models are members of the Statement series, Belles top line). Other 12AU7 equivalents can be used, such as the ECC82 (the EUs designation for the 12AU7), ECC802, 5814A, 5963, or 6189, but the Mullard CV4003 is perhaps my favorite. I prize it for its rich, creamy sound and spookily realistic reproduction of voices. The 12AU7 is very popular; you can easily find replacements, and new old stock (NOS) units are still readily available, albeit at often steep prices. The tubes are completely enclosed by the VT-01s case, so they shouldnt pick up any extraneous radio-frequency interference (RFI). Although the case has no cooling vents, the VT-01 ran only slightly warm to the touch. Belles obviously thinks a top-line component should not only sound but look good, and the Statement models are gorgeous enough to make many far more expensive products look cheap. The thick front panel with beveled edges sports Belles hallmark keyhole design, which is also stamped into the top plate. The case, which measures 17"W x 3.5"H x 13"D, is constructed of thick aluminum slabs screwed together to form a rigid structure. Although SoundStage! reviewers arent encouraged to engage in destructive testing, the VT-01 looks as if it could be run over by a Hummer without any damage -- to the VT-01. The case is available in silver (the review sample) or black; I thought the silver finish better showed off the chassis contours. The caseworks thickness also made itself known when I lifted the VT-01: its shipping weight is 27 pounds. Inside, the circuit is built from premium components carefully selected by David Belles, who is very demanding. After auditioning and rejecting numerous expensive designer capacitors, for example, he finally had Teflon capacitors made to his own specifications and taste. Nor are premium parts limited to the VT-01s interior; the case is supported by Stillpoints feet, one of my favorite support systems. Most of the components in my system rest on external Stillpoints, so having them built into the VT-01 is a real plus. And, unlike aftermarket Stillpoints, these dont fall off when the VT-01 is lifted. The VT-01s specifications rival those of virtually any other preamp on the market: hum and noise better than 100dB down, distortion less than 0.001%, and crosstalk unmeasurable between inputs, and 60dB between channels. The input impedance is 100k ohms, while the output impedance is 100 ohms -- low for any line stage, but extraordinarily low for a tubed design. The maximum output voltage is 30V (!). All this means that the VT-01 should work with any source, with any power amplifier (as long as the latter has unbalanced inputs), and with any length of unbalanced interconnect. Hows that for flexibility? And if you really want to use it with an amplifier with balanced inputs, I recommend Cardas Audios RCA-to-XLR adapters, which I use with my Atma-Sphere S-30 Mk.III amp. The VT-01 doesnt invert phase, so you dont have to fool around with reversing the polarity of your speaker connections, as you do with line stages that do invert phase. The VT-01 is definitely a minimalist line stage. Theres a single knob, the volume control, on the right side of the front panel, and three small toggle switches on the left: Power on/off, Mute, and Input selection. The Input switch toggles sequentially through the four inputs; you cant directly select a source without switching through the other inputs in between -- a minor annoyance. Above the toggles, LEDs numbered 1 through 4 indicate which input is active. The Mute circuit is engaged for about a minute when the VT-01 is turned on, allowing the tubes to slowly reach equilibrium before starting to play music. Im not sure how long the VT-01 needs to warm up for best sound, but it took a lot less time than any of my amplifiers. The toggles labels are below the switches, making them a bit hard to read if the VT-01 is placed on a lower shelf of your equipment rack. Early in my time with the VT-01, I flipped what I thought was the Mute switch. It was actually the Power switch, and I turned the unit off -- while the power amplifier was still on. That can be disastrous with the many preamps that emit strong pulses or pops when powered down. Luckily for my speakers, the VT-01 was totally silent when switched off. Whew! On the rear panel are four pairs of sturdy RCA input jacks and two pairs of RCA output jacks. The jacks are widely spaced -- your huge audiophile interconnects should fit just fine. Theres also an IEC jack for the power cord. Although Belles includes a hefty molded cord, I used an aftermarket model, the Audience powerChord e, which sounded more open and dynamic. This is a change from my practice of using only stock AC cords, but Ive decided that aftermarket cords let review samples reach their full potential, which is what our readers really want to know about. Given Belles metalworking prowess, I half expected that the VT-01s remote control would be more audio jewelry -- instead, the VT-01 comes with a small remote of black plastic that duplicates all of the front panels control functions. While I appreciate heavy, metal remote controls, I can personally attest to the fact that, when dropped, a remote made of light plastic inflicts less damage on a toe or coffee table. I would have appreciated a few more controls -- for monophonic output, phase reversal, possibly even balance -- but those are my personal preferences; most audiophiles probably wouldnt use them. The VT-01 displaced my SACD player on the shelf in my equipment rack just above my reference line stage, the Audio Research LS26. After adjusting the Stillpoints feet to ensure that there was a little play in each, and that all four feet were contacting the shelf equally (no wobbling permitted! ), I connected the VT-01 to my system. Interconnects were primarily Clarity Cable Organic RCAs (CD player to VT-01 and VT-01 to power amp). These extraordinary interconnects have an extremely open sound and a wide frequency range. I also tried the VT-01 with my Art Audio PX 25, reasoning that a single-ended-triode amplifier, which uses a radically different type of circuit, would provide a severe test of the VT-01s compatibility. And, of course, since I still had on hand Belles SA-30 solid-state amplifier, I couldnt resist hooking it up to the VT-01. About the only thing the Belles and Art amps have in common is that they both run in class-A, and thats a good thing. Belles claim that the VT-01 is exceptionally quiet proved no lie. I hate noise, and the VT-01s jet-black background let music emerge with more detail and dynamics. The sound wasnt excessively "tubey"; although the tonal depiction of music was quite succulent, I heard none of the second-harmonic distortion that is sometimes mistaken for harmonic richness. If the recording had good harmonic detail, the VT-01 reproduced it, without adding anything not already on the recording. It was very neutral, in the best sense of that word. The VT-01 was also, clearly, a wideband device. Bass was deep and firm, with plenty of impact. The bass on "Way Down Deep," from Ciscos reissue of Jennifer Warnes The Hunter (gold CD, Cisco Music GCD 8012-2), extended as low, and with as much slam, as Ive heard from this recording. (By the way, if you dont have this reissue on LP, gold CD, or both, run, dont walk, to your computer and order it -- its spectacular.) At the other end of the frequency spectrum, the treble was extended without being etched or peaky. The VT-01s midrange was exceptionally natural. Intending to listen to only a couple of cuts, I spun the late Eva Cassidys posthumous album Somewhere (CD, Blix Street G2-10090). It was only with great difficulty that I avoided listening to the entire CD. I could hear exactly how Cassidy modulated her voice to produce vibrato, which Ive never heard reproduced so realistically. When I reviewed the Belles SA-30 amplifier ($4695) in September, I lauded it for its strong dynamic contrasts both large and small. The VT-01 was cut from the same cloth; its dynamic contrasts were equally well defined, in both the large volume swings as an orchestra changed gears from pianississimo (ppp, or very soft) to fortississimo (fff, or very loud), and in the very small volume changes that a musician uses to shape a musical phrase. But it didnt reproduce well only the loudest and softest passages; it also showed exceptional agility in tracking changes that occurred throughout a performance. On Jordi Savalls La Folia 1490-1701 (CD, Alia Vox AFA 9805), whose constantly changing loudness level is particularly challenging to some components, I was impressed at how precisely the VT-01 rendered the dynamic levels as they ebbed and flowed freely throughout the disc. Overall, Ive never heard better tracking of dynamics in my system. An area I dont always comment on in reviews of amps and preamps is pace and timing. By that I mean how well the music moves along with forward momentum, and how well tempo (speed) changes are depicted. A line stage shouldnt affect musical timing, which is mostly handled by the source component; about all a line stage can do to the timing is screw it up. The VT-01 definitely didnt screw up the timing; in fact, I was able to hear unusually small changes in tempo. On "Folia Rodrigo Martinez," from the Savall collection, the musicians not only continuously change volume levels, they also speed up and slow down throughout the piece, all of which the VT-01 rendered with uncanny precision. When I reviewed the Belles SA-30, I said that its soundstaging was a bit less precise than that of other amplifiers; the VT-01 substantially changed that impression. I think this is a classic example of the synergy between two components designed to complement each other. When I listened to the same recording Id used to judge the SA-30s soundstaging -- A Sei Vocis performance of Allegris Miserere, Mass, and motets (CD, Astr�e E 8524) -- the soundstage produced by the SA-30 plus VT-01 was every bit as open as Ive ever heard it, the individual singers placed with pinpoint precision within the soundfield. With the Baltimore Consorts Ad�o Espa�a (CD, Dorian/Sono Luminus DSL 90901), the VT-01 clearly depicted how the musicians rearranged themselves onstage for different pieces. When the entire ensemble played, the musicians were spread out more widely; with a more intimate song for soprano and lute, the duo was more centered in the soundfield. So the VT-01 sounded great with its stablemate SA-30 amplifier. Big deal -- if it didnt, Belles would be in serious trouble. But would it work as well with amplifiers it wasnt related to? To give it a challenge, I connected it to my Art Audio PX 25 ($9500), which is about as different from the Belles SA-30 as possible. The PX 25s single-ended-triode (SET) circuit uses tubes exclusively (except for the heater voltages) to produce a "measly" 6Wpc; but with speakers rated at 103dB sensitivity, youd be surprised at how loud 6W can be. As an SET amplifier, the PX 25 uses only one output tube per channel to reproduce both the positive and negative halves of the signal. Because that single output tube must be on at all times, the PX 25 is, inherently, a class-A design. Like most SET amps, the circuits in its input and driver sections are unbalanced: specifically, 6922 input tubes and 12BH7 driver tubes. Unlike most tube amps, however, the PX 25 uses a separate 274B rectifier tube for each channel, so that each channel will have all the current it needs. Thanks to my reviewing schedule, it had been six months since Id been able to enjoy hearing the Art Audio amplifier, and I was eager to get reacquainted. SET amplifiers are known for their ability to throw a deep, palpable soundstage, so the first CD I spun was the Allegri Miserere. Holy mackerel -- where did my room go? It was if Id been teleported to the recording venue, where I could almost see the small choral group precisely placed within the space. I could hear way more information about the individual voices in the group, including how each singer enunciated the words. The soundstage was eerily three-dimensional, with a significantly enhanced sense of depth. The SA-30 had impressed me with its depiction of spatial information, but the Art Audio was just stupid good. And the VT-01 passed all that spatial information along to the amplifier. The second surprise I received from the Art Audio amp was that it produced appreciably deeper, stronger bass than the much more powerful Belles SA-30. In all likelihood this was due to the Belles extremely high damping factor (5000), which may have overdamped my horn speakers; like most horns, my Affirm Audio Luminations are acoustically well damped enough that they need little help from the amplifier. Also, while SET amplifiers arent usually all that great at reproducing the frequency extremes, the Art Audio delivers full power down to 9Hz. On Chris Jones Roadhouses and Automobiles (CD, Stockfisch SFR 357.6027.2), the opening bass figures on "God Moves on the Water" were noticeably more deep and weighty. Again, the VT-01 passed the bass frequencies along to the amplifier, and I was pleasantly surprised. Did the VT-01 sound different with the different amplifiers? No -- it had very little sound of its own. The salient point of the above descriptions is that the VT-01 let each amp perform at its very best, and better than I had previously heard either. It didnt get in their way, but let them strut their stuff. My Audio Research LS26 is a fully balanced line stage ($5995) whose gain stages include both solid-state devices (JFETs) and tubes (6H30s). Every input and output has two sets of jacks: balanced (XLR) and unbalanced (RCA). While the balanced connections sound a bit better with balanced sources and power amplifiers, the unbalanced connections sound excellent in their own right. The LS26s front-panel display provides tons of information about whats going on in a system, including which input is selected (by name), the type of connection (balanced or unbalanced) for each source, and the gain level for that source (you can set a different gain for each source). There are controls for monophonic operation (useful when you play a mono LP), channel balance, phase reversal, and even a timer that tells you how long the tubes have been used. A numeric displays shows the volume setting, which ranges from 0 (off) to 103, so theres plenty of range. All of the LS26s controls are available on the remote control, including some that dont appear on the front panel. Although ARC components are sturdy and well made, the LS26 looked rather plain sitting next to the Belles VT-01. But what really counts for me is the sound, which was great. When I first heard the LS26, my reaction was "Utterly charming!" Apologies if that sounds like typical reviewer hyperbole, but in this case it was simply accurate, and in the two years Ive used the LS26 that initial reaction hasnt changed. Its sound is very relaxed and open, sounding particularly spacious. Its dynamic and punchy when the music is dynamic and punchy, but doesnt overemphasize dynamics to impress with its "hi-fi" prowess. Bass is not only deep, it has lots of weight. Treble is bright and illuminated but not at all peaky. Midrange is exquisite: tons of tonal detail, plenty of momentum, and finely delineated microdynamics. Youd probably never suspect that the LS26 uses JFETs in its input stages; it sounds a bit "tubey," in the best sense of the term. Theres no grain, and everything sounds rich -- not the richness of excessive second-harmonic distortion, but the richness that comes with the accurate reproduction of the full harmonic envelope of each instrument and singer. I found it difficult to compare the sounds of two line stages designed to have no sound of their own. Both were soundstaging champions, with the Belles VT-01 possibly generating a tad more three-dimensional soundfield. I think the ARC LS26 reproduced the leading edge of transients infinitesimally faster, but it was a very close call. In that respect, the combination of the ARC LS26 and SA-30 sometimes produced transient leading edges that were downright scary. At times I thought the VT-01 produced portraits of instruments of very slightly greater holistic accuracy, but this impression was on the threshold of perception. In short, both line stages were staggeringly good, quiet as a tomb, and utterly unfussy to set up and use. I have a nagging suspicion that most of my observations are as much about the power amplifiers as about the line stages themselves. As a reviewer, Id be reluctant to forgo the Audio Research LS26s full set of features; as a listener, unless I needed to use balanced sources and amplifiers, I would definitely opt for the Belles VT-01 and save $1300. The Belles VT-01 line preamplifier is something of a bargain at $4695. Although its not the last word in flexibility, its sound essentially matched, and in several important ways surpassed, that of my $5995 Audio Research LS26. Nor is the VT-01 a one-trick pony; while it proved a superb companion for Belles own SA-30 power amp, I was elated to discover that it also enabled an amplifier of a completely different topology -- a single-ended-triode model -- to sound better than I had previously heard it. The Belles VT-01 sounds spectacular, looks gorgeous, is easy to operate, and, considering its performance, is reasonably priced. In fact, I havent heard anything in its price range that sounds remotely as good. While David Belles SA-30 amplifier is also a superb performer, I think his VT-01 is even better -- much better. Its one of the best line stages Ive heard at any price, which makes it an easy Reviewers Choice. If youre shopping for a line stage at or near this price and dont need balanced inputs and outputs, I urge you to put the Belles VT-01 on a very short list of products to audition. Warranty: Five years parts and labor; 90 days on tubes.